Stay fresh out there, Inkling! This punchy illustration by Maya Kern can help you amp up your freshness a few levels. 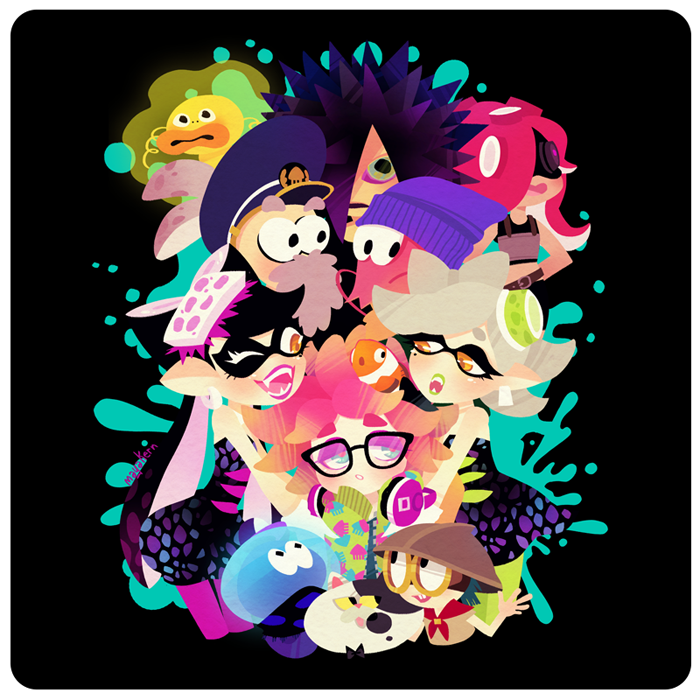 Featuring the famous Squid Sisters, Callie and Marie, Spyke, Judd, and your favorite gear sellers, not even Moe will give you much lip wearing this! 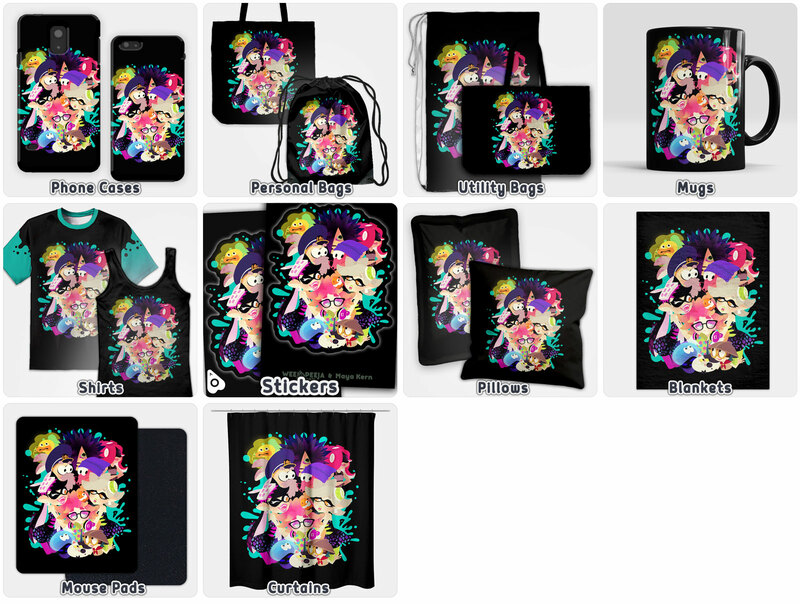 Check out all the great items this design splatoon is offered on to pump yourself up for some turf battles, Squid Kid!